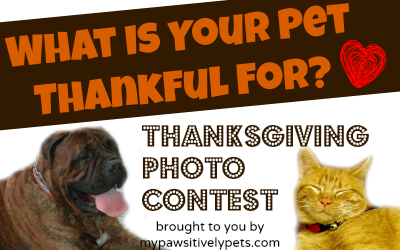 With Thanksgiving coming up soon, it's time to announce the Pawsitively Pets 2nd annual Thanksgiving Photo Contest! We are thankful for you - our readers! We did this contest last year, and had lots of fun so we definitely wanted to continue and make it a bigger and better tradition. Entering the photo contest is simple. Just send in a picture of what your pet is thankful for! Take a snapshot of your cat in their favorite cozy bed or your pooch enjoying a tasty snack. 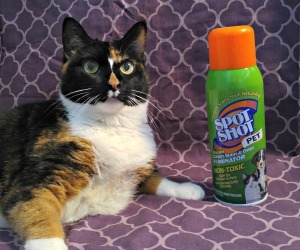 Then send it off to annstaub(at)yahoo(dot)com to enter your pet in the Thanksgiving photo contest. Just let us know that you're entering the contest. You may enter one photo per household. Photoshopping will be allowed for the contest. Last day to enter is November 24th by 12 am CST. Two winners will be selected - 1st and 2nd place. The winners will be selected by a team of unbiased judges, myself not included. I doubt I'd be able to pick anyways! The 1st place winner will receive a surprise Thanksgiving prize package for pets depending on their species, breed, size, etc. The runner up will also receive a smaller surprise Thanksgiving prize package for pets. 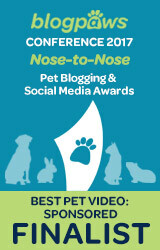 This photo contest is open to Pawsitively Pets readers from anywhere in the world! 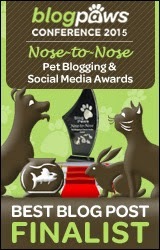 Since we'd like to keep the contest open to our readers, please consider subscribing to Pawsitively Pets by email, Bloglovin', Google Friend Connect, or some other method. We're also on social media! Just look in the top right of our sidebar to find us on the web. Can't wait to see everyone's awesome photos! I will search for my thinking cap and I will wash my paws for the upcoming photo-session. Woohoo :) Can't wait to see Easy! Yay Sammy, can't wait to see! This will be fun, I'll definitely be entering this year! Hope to have time to enter this one, fun! We will have to see what we can come up with in pictures. We have so many things that we are thankful for. Take care. Hmmm, I can think of a photo or two for this. We will have to find our favorite picture and send it to you! What a fun contest. Sent you a picture of my Charlie. That is very cool and you should get lots of good entries! Cool. I'll have to put my thinking cap on and see what I can come up with. We'll do our best to send an entry for this fun contest! Hey Gin and Bailey - I got your photo and sent a reply. Maybe my email will work properly this time! If not, just know that you are entered and thank you for joining again this year! Well that is a bummer!! I wonder if my email is blocked for you or something.. regardless, I'm at least glad that I can read the emails that you are sending to me! That is a cool idea for Thanksgiving. We so look forward to the entries. Have a terrific Tuesday. Is Honey Delight back yet? Cool! I'll have to snap a good picture of Kayo! Count me in! Allthough we don't celebrate Thanksgiving in my country, I'll sure have loads to be thankful for! Thank you for sending the picture Carlos! I love it! Love it - thank you! And good luck! We'll get our assistant (the mom) working on this right away! Love your entry - thank you! I am thankful for a warm lap! I will definitely get the lap owner to enter me!! Pawesome contest. I just sent in a photo of Sookie! Thank you Jenn and good luck! Can we send photos that we have used on our blog? I really think Diesel is very thankful for that big bean bag chair! That's the picture I think I would send! Yes of course :) I'll tweet you or something! Sent a pic of Mushu in his nice warm bed. Got it - thank you Theresa!